This unique numbered wall clock is a beautiful example of zero waste home decor. 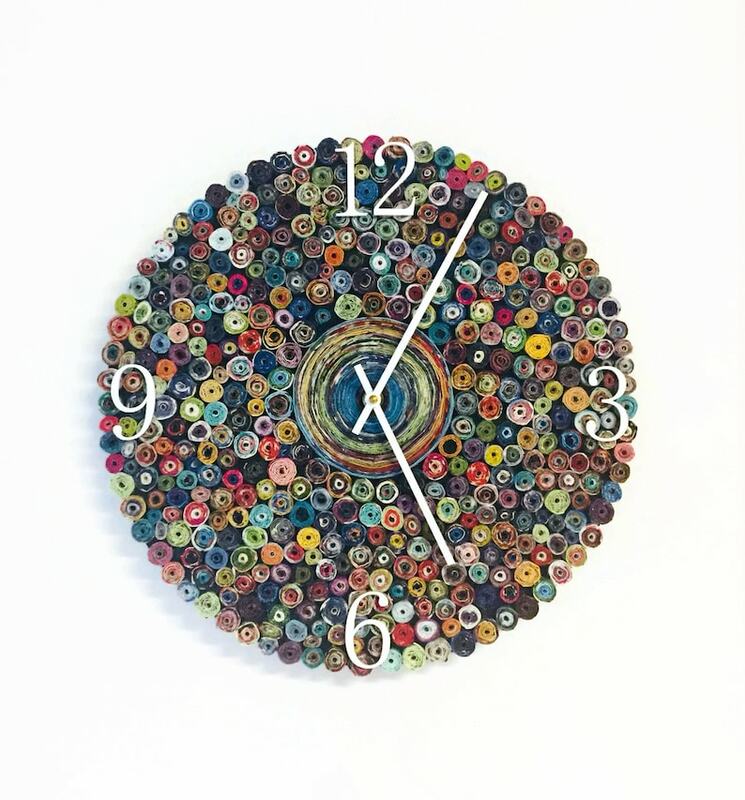 The face of the clock is covered in hand rolled paper beads, and thoughtfully placed across the clock face. Clock size shown is 14" in diameter with a wood base. Please leave a message regarding the number color when you check out. Thanks so much for stopping by to take a look at this eco friendly wall clock!